Set on the white sands of Klong Prao Beach, in the centre of Koh Chang‘s west coast, Centara Koh Chang Tropicana Resort is framed by exotic palm trees and the deep blue waters of the seascape. With its natural surroundings the resort is a tranquil one, and along with the oceanfront swimming pool, water sports and spa, there are nearby attractions such as forest paths, waterfalls, a fishing village and an elephant camp to explore. Koh Chang, or Elephant Island, is Thailand‘s second largest island and forms part of a national marine park. More than 50 islands are in the immediate vicinity, offering plenty of opportunities for boating, island hopping, diving and snorkelling. Koh Chang itself has a mountainous terrain that is a great attraction for nature lovers. The island is situated off the coast of Trat province and is accessible all year round by ferry. Centara Koh Chang Tropicana Resort is easily reached via the island’s ring road, the journey from the landing pier taking approximately 30 minutes. Trat has its own airport handling domestic flights. 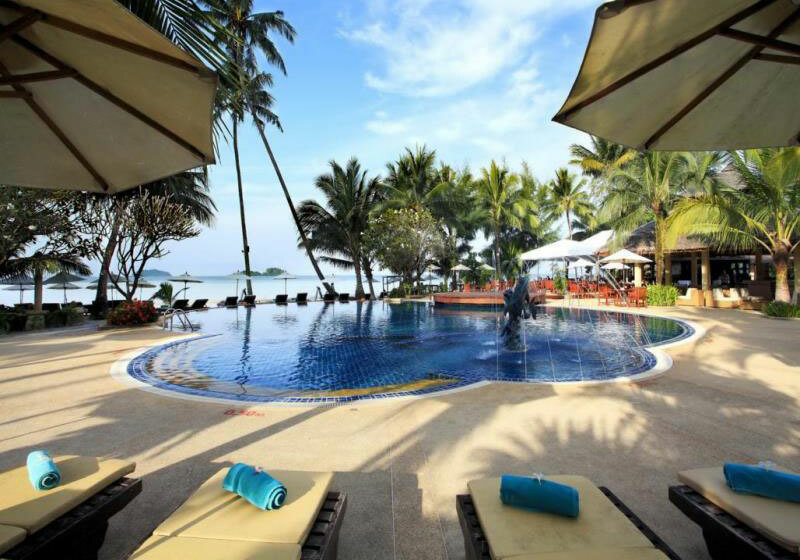 Short Description: Set on the white sands of Klong Prao Beach, in the centre of Koh Chang's west coast, Centara Koh Chang Tropicana Resort is framed by exotic palm trees and the deep blue waters of the seascape.